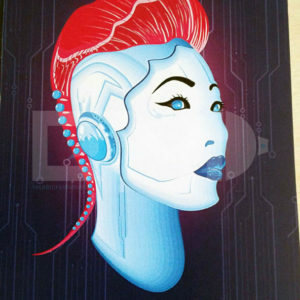 This 4x pack of stickers includes ‘Cyber chick 001’, ‘Cyber chick 002’, ‘Cyber chick 004’ and ‘Cyber Geisha’ stickers. 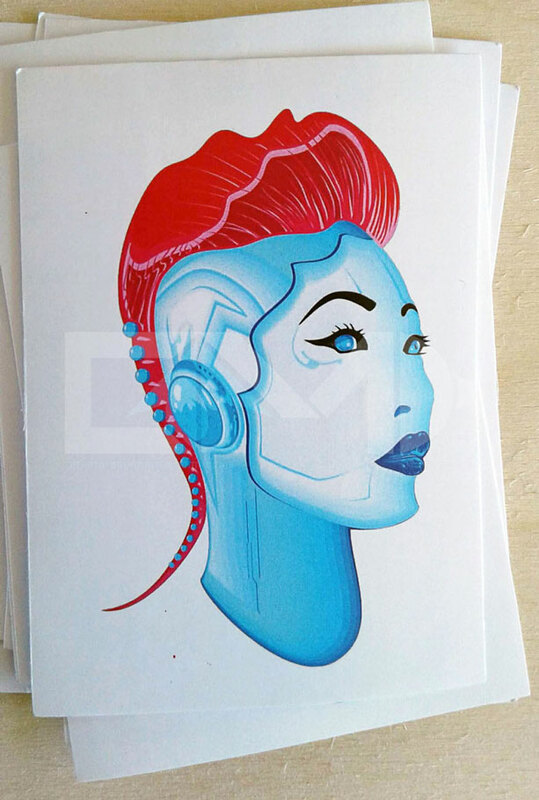 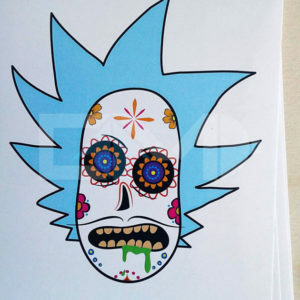 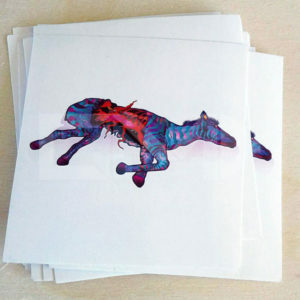 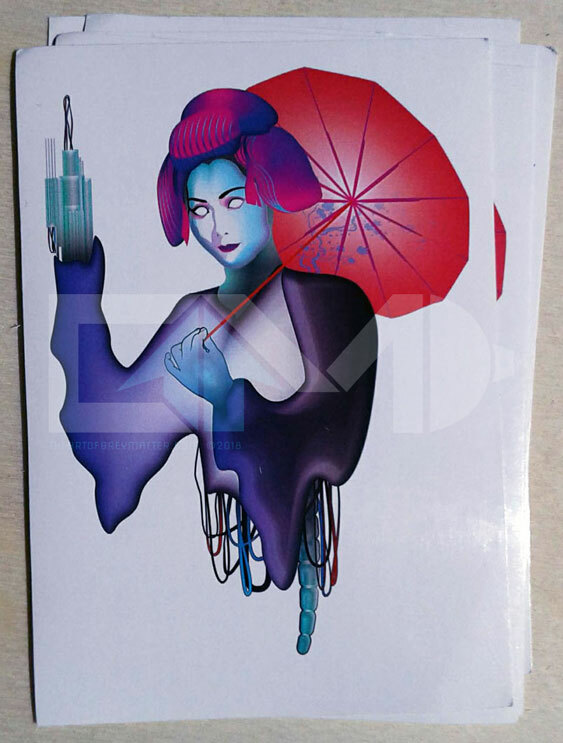 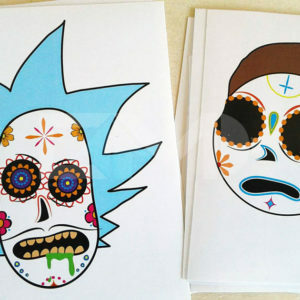 These stickers are inspired by cyberpunk culture and science fiction. 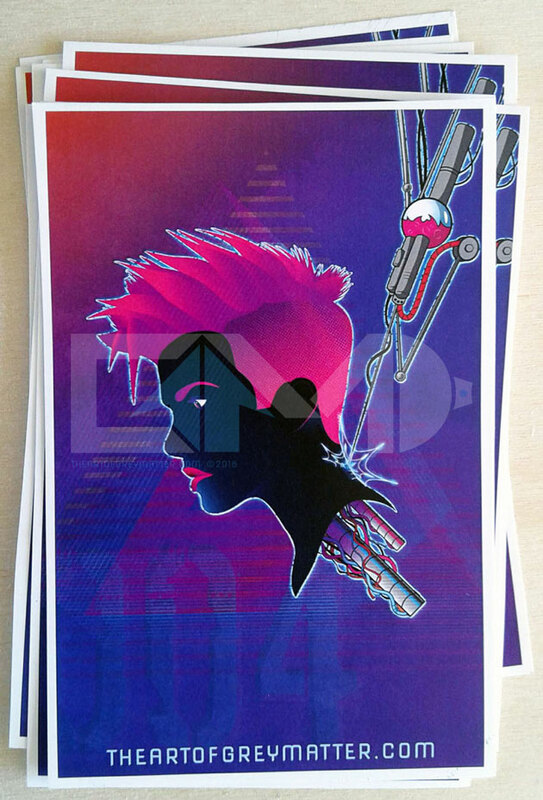 Stickers shipped will NOT have watermark GM logo.